Susan Parlier, PhD, LMSW, ACSW, MAR, is a Clinical Assistant Professor with the College of Social Work at the University of South Carolina. She received her Master in Social Work from Virginia Commonwealth University and her doctorate from The University of South Carolina. Dr. Parlier’s research interests are examining low-wage, low-income, and poor working people’, women’s meaning making processes and people’s spiritual pathways and life stories as they make sense of their lives and vocations. 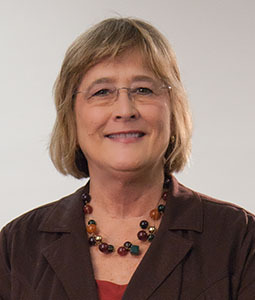 Dr. Parlier has over forty-two years of direct social work practice. For 15 years, she was executive director of a not-for-profit service agency. She serves as a board member with several not-for-profits. She remains actively involved in service, practice, and advocacy within her community, state, nation, and internationally. Dr. Parlier enjoys playing with her daughter, son-in-law, and granddaughter and her three dogs, two cats. She loves to read and travel! SOCW 6070 - Superv, Ldshp, & Admin SW Org.